Looking for the perfect getaway idea to share with your readers? 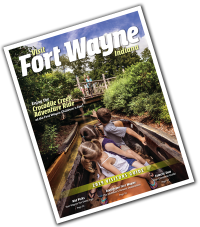 Fort Wayne&apos;s the place you&apos;ve been looking for! Fort Wayne is all about having a good time, and doing it on a tight budget. Your readers will love our abundance of family friendly attractions, including the number one and two summer attractions in Indiana! Interested? Then you should come to Fort Wayne to experience what everyone is raving about! Plan a visit, or even take part in a FAM tour! Just fill out our request form, or email us, or call us at (260) 424-3700.